Mark Templeton is a technology entrepreneur, mentor & investor. From 1999 through 2015 he was director, president, CEO of Citrix Systems [Nasdaq: CTXS], the leading software provider for secure delivery of business applications and data. 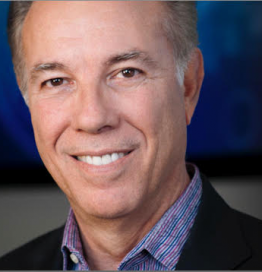 Under his leadership, Citrix grew from startup to global citizen, serving more than 300,000 customers, employing 10,000 professionals and generating over $3 billion in annual revenue. Templeton holds a BA in product design from North Carolina State University, College of Design and an MBA from the University of Virginia, Darden School of Business. He is also is a director on the boards of Adaptive Insights [private], Equifax [NYSE: EFX] and Keysight [NYSE: KEYS].